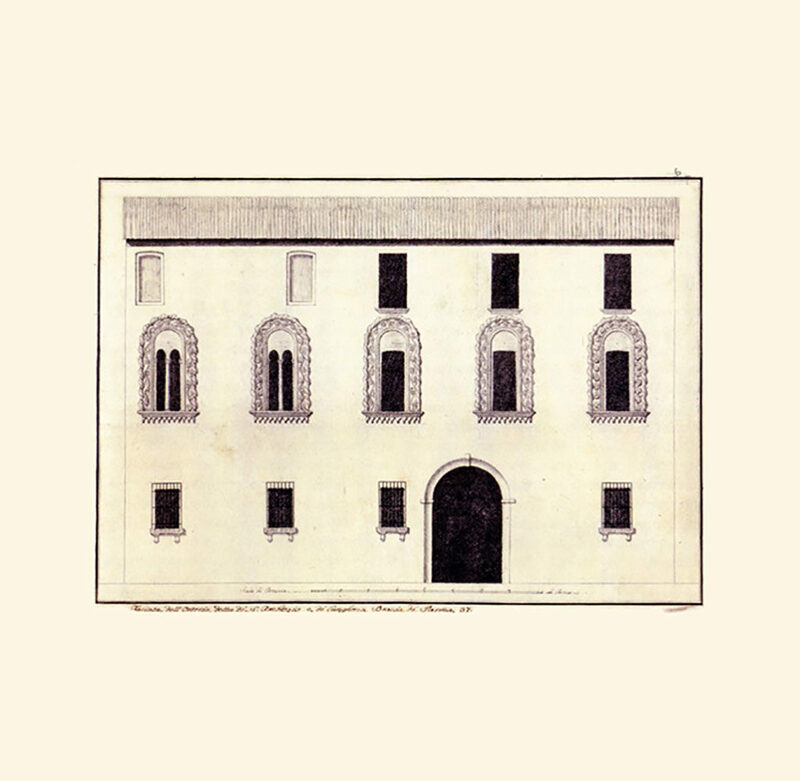 The large Medieval building with terracotta walls, angular towers and arched windows that stands on the corner of via Repubblica and borgo Sant’Ambrogio, today known as Palazzo Fainardi, was for centuries the Palazzo dei Beccaj (the Butchers Palace) and housed all the city’s butcher’s shops. Later, the building held the tribunal and the prison and took the name of Palazzo del Criminale. 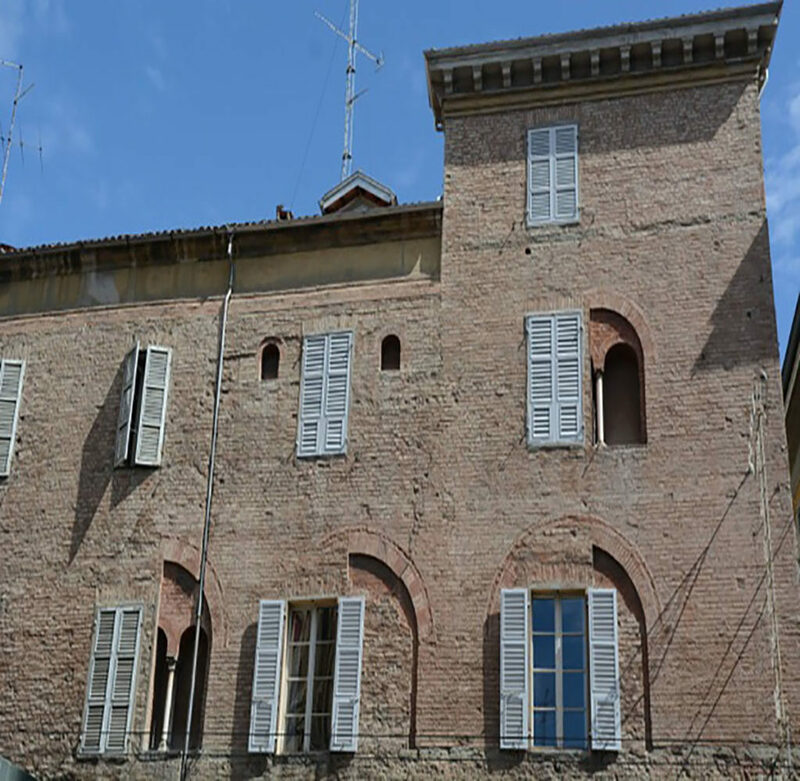 The Sant’Ambrogio Inn, adorned by rich 15th-century windows with terracotta mouldings, has medieval origins, and is mentioned in a 1520 contract: «Hospitium sub signo Sancti Ambroxii… in civitate Parmae». The inn was active for centuries, until the end of the 19th century. It was then converted into a restaurant that operated until the 1980s, and today it houses a bank. The inside had a large stone fireplace and many arches, and its medieval structure preserved the charm of a bygone era. The inn gave its name to the street where it was located.